Disclosure: I was given my shirt in return for a review of their product, however, all thoughts and opinions are my own! I cannot be bought! 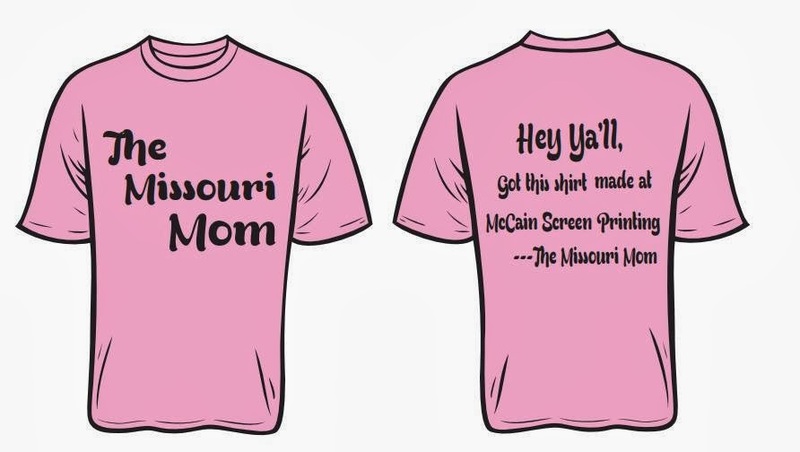 when people stop me to read the back of my shirt only to find out it says "Hey ya'll, got this shirt at McCain Screen Printing ~The Missouri Mom "...they usually laugh and say how clever. The shirts are clever, but they are more than clever. 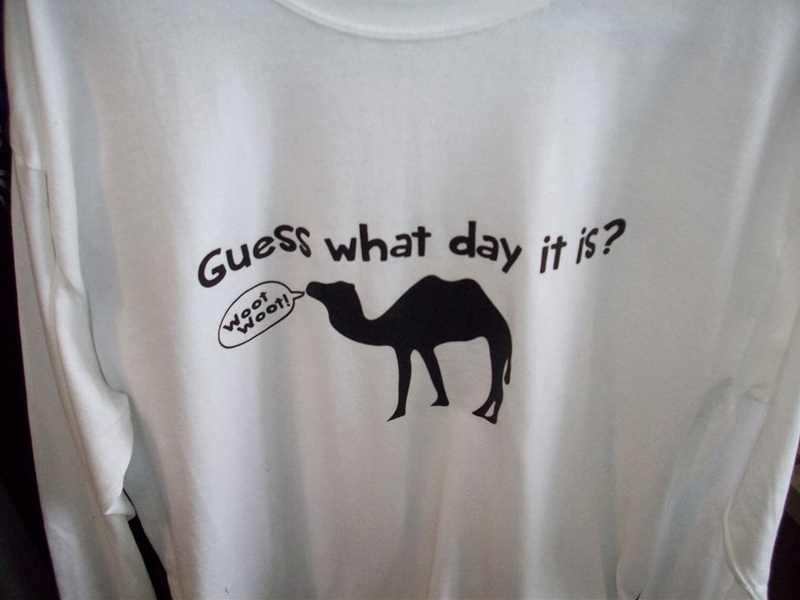 I have probably owned 1000+ t-shirts in my life, but never a t-shirt like this. Now I received my shirts back in September prior to my trip to the Root, Blues, and BBQ Festival in Columbia, however, I wanted to wear my shirt a while (few months) before giving my full review. As my Gal Pal Jessie said the other day when we were discussing my shirts, these shirts have to be the most comfortable t-shirts ever. 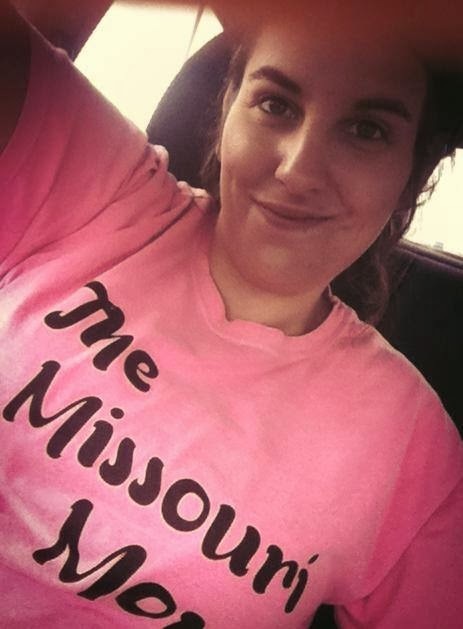 I have found when I have screen printed shirt, those shirts tend to lose their color, feel rough, and become misshaped.....well my The Missouri Mom Shirt has not! They still feel as comfortable as they did the day I got them! SCORE for me!! 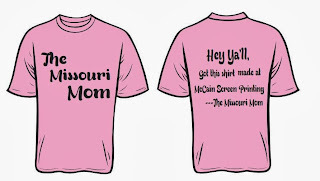 McCain Screen Printing is not your typical "t-shirt shop"...they are a Local (Bollinger County, Missoui) printing shop that offers more than just your typical shirts. What I learned when getting my shirts was is you can walk in and buy stuff right off their shelf, they often custom logos, and they do more than just shirts! However, I did see this shirt on their Facebook Page last week and nearly fell over laughing!